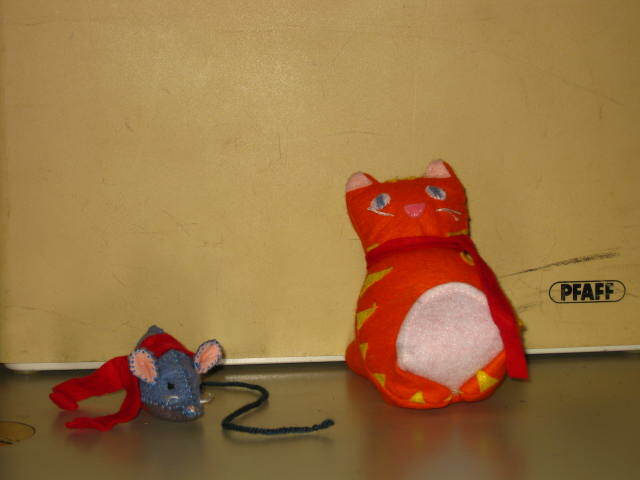 I made both out of Felt using a pattern from a Klutz Sewing book. I sewed the details on the front of the cat before I started sewing it together. The scarves are strips of red felt that I found.